Frederick Gerald McDaniel, age 52, of Summerville, Georgia, passed away Tuesday, November 28, 2017 at Redmond Regional Medical Center. He was born Jan. 24, 1965 to Oliver Randolph McDaniel and the late Rosie Mae Adams McDaniel. He graduated from Chattooga High School in 1984 and was retired from Try-Con, Inc. He is survived by his one daughter; one grandson; father, Oliver Randolph McDaniel; sister, Glenda Hudgins of Summerville; brother, Cameron L. (Briselo) McDaniel; aunt, Dorothy Brown of Atlanta, Eleanor McDaniel of Boston, Ma., and Patricia Jackson; uncles, Lazarus (Lorraine) McDaniel, Alfred (Mary) McDaniel of Lyerly, Ga., and Steve McDaniel of Alabama; nieces, Erika Hudgins, Alicia Hudgins, and Raquel McDaniel; nephew, Thad Rounsaville; great-nieces, Shavonna Doss, Shaquila Doss, and Victoria Rounsaville; great-nephews, Thad Rounsaville, Jr. and Maxwell Rounsaville; great-great-nephews, Davion Doss and Kentoine Jones; special friend, James Crawford; goddaughter, Tanija Perry; and a host of other relatives and friends. Funeral services will be held Saturday, Dec. 2, at 1 p.m. at the Cedar Spring Baptist Church, Lyerly, Georgia with Pastor James Clark and other ministers officiating. The family will receive friends at the church from 11 a.m. until the funeral hour. Interment will e at Pond Spring Cemetery. 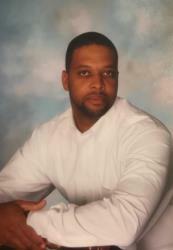 Please share your thoughts and memories of Frederick Gerald McDaniel at www.willisfuneralhomedalton.com. In lieu of flowers, donations may be made in the memory of Frederick Gerald McDaniel to the Harbin Cancer Clinic, 255 West 5th Street, S. W., Rome, Georgia 30165. Arrangements are by Willis Funeral Home, Dalton, Georgia.